There were many great Chicago Cubs opening day games in the 1960's. "Popeye", Don Zimmer made his Cubs debut in 1960, an extra-inning victory in 1964, a tie game, Leo Durocher begins his Cubs career with a victory and Willie Smith hits a walk-off home run to start the Cubs off right in 1969. This one was a Cubs loss, but an exciting and historic game as the Dodgers defeat the Cubs 3-2 in 11 innings on a walk off pinch hit home run by Chuck Essegian off Don Elston. Don Drysdale pitched a complete game and struck out 14 batters. 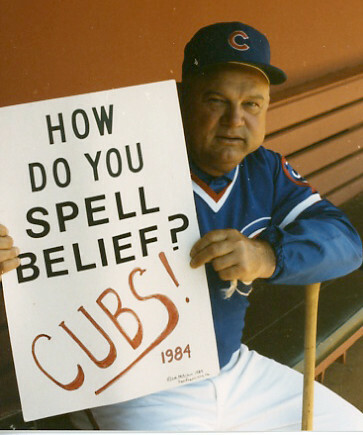 And Don Zimmer hit a home run in his first at bat as a Cub. I've heard of no crying in baseball and I thought there were no ties in baseball also, however this opening day game ended in a 10-10 tie in a game called by darkness at Wrigley Field. An exciting ninth inning as the Cubs trailed 9-6 with 2 outs and no one on base. 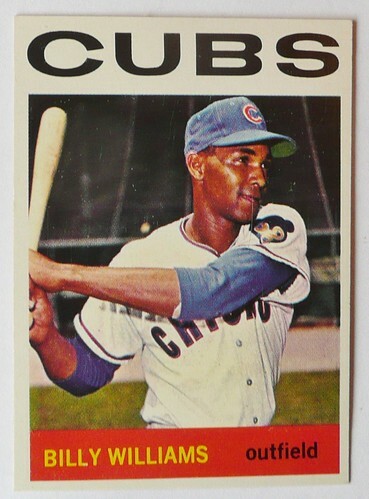 Ron Santo proceeded to walk, George Altman singled and Ernie Banks tied the game 9-9 with a 3-run homerun. Because the game ended in a tie and another game also during the season ending in a tie, Billy Williams and Ron Santo set a major league record for playing in all 164 games that year.